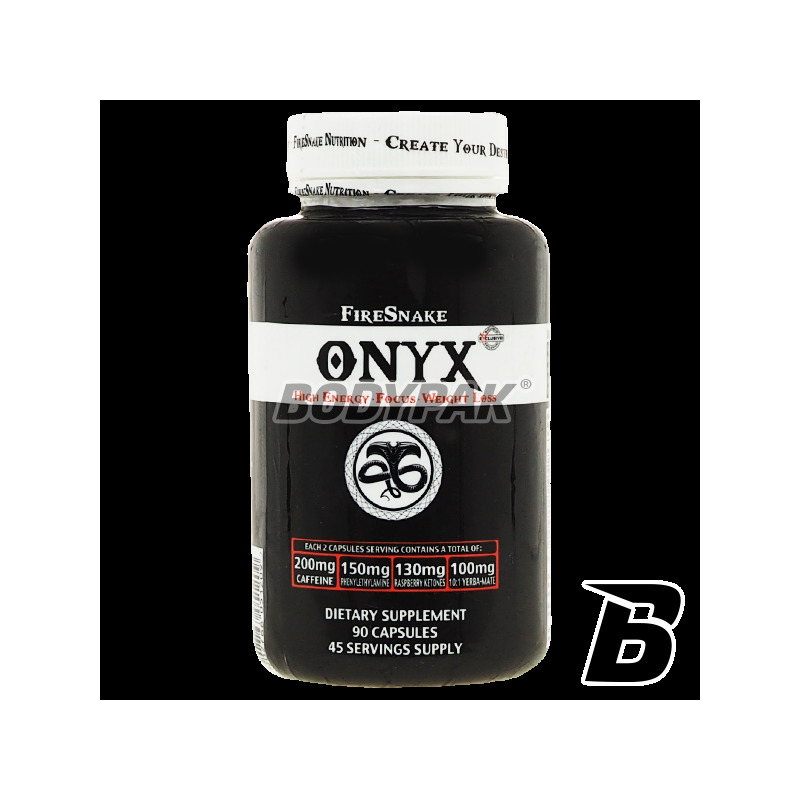 Fat LossFireSnake Onyx - 90 kaps. Advanced formula for safe weight loss is the perfect complement to a balanced diet with reduced calorie. 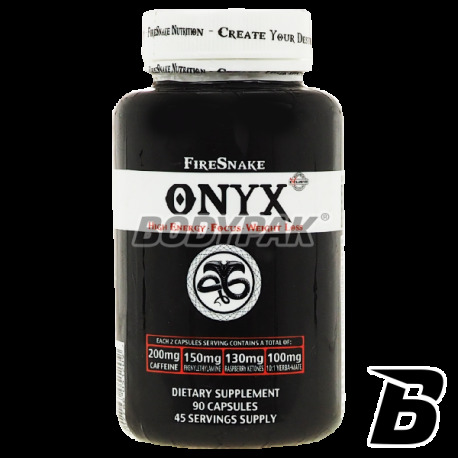 FireSnake Onyx - is an advanced formula for safe weight reduction constitutes a perfect complement to a balanced diet with reduced calorie. In the preparation stimulants (caffeine and PEA) are designed to ensure an adequate level of energy during intense training sessions. Raspberry ketone, and plant extracts rich in active ingredients help accelerate the rate of metabolism. All components of the preparation are chosen in such a way as to supplement their action in order to achieve maximum effect.